Mary Dineen, community mental health nurse and chair of Arts + Minds, argues for the integration of arts programmes into mental health services. In an era of austerity and scarce resources, a participatory arts programme as an integral part of the mental health services would appear to be an unaffordable luxury. I am a community mental health nurse (CMHN) and Chair of Arts + Minds, a Cork-based programme that aims to enhance the health and wellbeing of mental health service users through engagement with the arts. As such, I would argue that arts programming can be justified within the context of current government policy on mental health and that persuasive arguments can be made that the arts in mental healthcare are an effective tool in the recovery process from a social, clinical and budgetary perspective. Irish mental health policy is guided by the 2006 Department of Health report on the mental health services, A Vision for Change (1). The report recommends that a recovery approach to mental health be adopted as a cornerstone of the policy: ‘While recovery does not necessarily imply a cure, it does suggest that the individual can live a productive and meaningful life despite vulnerabilities that may persist’ (2). The report raises concerns about the effects of social exclusion as experienced by mental health service users and recommends that community and personal development initiatives which impact positively on mental health status should be supported. It also recognises the stigma attached to mental ill health which encourages discrimination and prejudice, and suggests that this may be ameliorated by raising the visibility of mental health service users in community settings. I work in an area of Cork city that includes areas of high social deprivation. Many service users in my care live alone in poor circumstances. They have limited social networks and have little or no contact with the community in which they live. They experience a high degree of social isolation and have little stimulation in their lives apart from television. I have a strong personal interest in the arts and a firm belief in their invaluable contribution to our lives. As the late American poet Jayne Cortez said ‘The arts are just a part of the weapons…of life’ (3). An encounter with Arts Consultant Ann O’ Connor at an information day during the 2005 Cork City of Culture, showcasing innovative music workshops in two mental health facilities, piqued my interest in introducing service users to high quality arts experiences. I hoped that this would have the twofold effect of improving the quality of life of service users and facilitating their social inclusion. As a result of this meeting a steering group was formed comprising HSE mental health service staff, along with representatives of service users, the Irish Advocacy Network, the HSE Cork Arts and Health Programme who became our core funder and Ann O’ Connor, to explore the possibility of setting up an arts programme for mental health service users. This group became Arts + Minds and what began as a series of music workshops has expanded to include sessions on dance, creative writing, animation, storytelling, visual art and choral singing. Arts + Minds projects are delivered at in-patient, day hospital and community settings. A decision was taken early on in the programme to avoid using HSE, and particularly mental health, facilities when delivering arts workshops in the community. Sessions have taken place in community centres, GAA clubs, arts venues and private facilities. This has the effect of increasing the visibility of mental health service users, and in doing so, breaking down the barriers between service users and the community. Healthcare staff take a very hands-on role in the organization. We liaise with participants, book artists and venues, research ideas for new programmes, manage funding and are active participants in the workshops, thus making the service user-staff relationship more equal. There is an increasing body of evidence that highlights the benefits to mental health service users of participation in quality arts programmes, including the Arts + Minds commissioned report Beyond Diagnosis: the transformative potential of the arts in mental health recovery (4). The subjects of the research reported that the programme has had a positive effect on their mental health, made them feel part of a community, increased confidence and self-esteem, enhanced mood and reduced stress. Mental health service staff identified a considerable reduction in the frequency of outpatient appointments in those who participated in the programme. Occasionally questions have been asked about the perceived conflict between my role as CMHN and that of chair of an arts programme. I would assert that the CMHN is perfectly placed to run such a programme due to the nature of the role. Our entire working day is spent with service users in their own community. Furthermore, the autonomous nature of the role has allowed us the latitude to develop imaginative solutions to problems outside of the dominant biomedical model of care. Programmes such as Arts + Minds can greatly enhance existing mental health services and contribute to their efficient delivery. At any one arts session, up to twenty people are seen by the CMHN. This is particularly pertinent for men with severe and enduring mental health problems who are more likely to disengage from the mental health services, increasing the likelihood of relapse and readmission to hospital. Arts + Minds has attracted some of that ‘difficult to engage’ cohort who are now active in many of the programmes. The inclusion of an arts programme as part of mental health care sits comfortably within the context of Irish mental health policy. It is a cost effective measure with proven capacity to enhance the lives of service users. Staff involved say it has changed their relationships with service users for the better and has improved the healthcare working environment. As the Beyond Diagnosis report concludes on the integration of the arts into mental health care, ‘[it requires] a cultural shift in the way we understand, respond to and engage with human distress. This is a shift towards embracing creativity of expression, nurturing strengths and facilitating service user care choices, both inside and outside mental health structures’ (5). Mary Dineen is a Community Mental Health Nurse working in the South Lee mental health services in Cork. 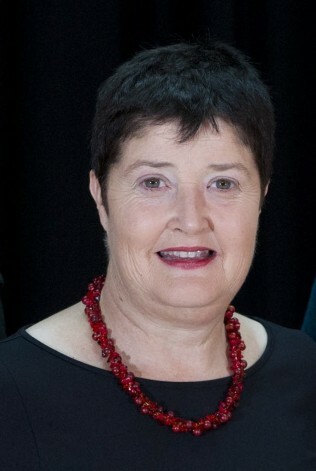 She is a founder member and chairperson of Arts+Minds. She trained as a nurse at Our Lady’s Hospital, Cork and at Cork University Hospital and has graduated from UCC with a BA and MA degree. 1 Department of Health and Children ‘A Vision for Change’: Report of the Expert Group on Mental Health Policy.Dublin: Government Publications Office, 2006. 3 McNally, Frank. ‘Compelling US blues poet who used her gift to confront and celebrate’ The Irish Times 19 January 2013: 12. Print. Great article – I like that it came from a Public sector nurse/director and not a freelance artist. We as artists (myself included) know very very well the sheer transformative power of the arts, particularily the hugely empowering successful participatory experience of the individual involved in artistic programmes.